Jesus Christ is the owner and head of the church. He gave Himself to save her and she is His body and bride. We do not take for granted His rightful place as the true decision maker and final authority at CBCG. All human leadership takes second place to Him and is accountable to Him. The elders and deacons of CBCG affirm that it is their primary responsibility to know Him intimately and to follow His leading implicitly. Pastor Sam serves as the primary pastor and lead teaching elder of CBCG. He is a graduate of Breckbill Bible College in Max Meadows, Virginia. He pastored for six years in Altoona, Pennsylvania prior to coming to Gordonville in 2007. He and his wife Camila were married in October of 1998 and have been blessed with four lovely children Katriel, Abigail, Sterling, and Tierce. Brother Mel serves as an elder at CBCG. Mel has a compassionate heart and strongly exhibits the gifts of mercy and discernment. 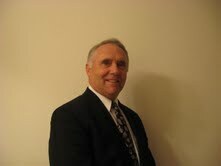 He has previously served the body of Christ as a youth Sunday School teacher. Mel has been in the Agricultural field all of his life and is now retired. He is married to Joyce (Landis) Eby and they have four children Jerry, Michael, Melody Joy, and Matthew (Jerry and Melody are deceased). They also have four grandchildren Bethany, Mikayla, Jackson and Sara. Mel and Joyce operate a Bed & Breakfast and use it to minister to a wide variety of visitors to the area. Mel enjoys reading, traveling, hunting and music. He also loves to sing with his wife and family.